The Instant Pot has a learning curve. Since food cooks quickly through pressure (not more heat) and much of the liquid eliminates through steam, it’s important to follow recipes, especially in the beginning. The CrockPot (or slow cooker) is a bit more forgiving in my eyes. But not to worry, there is no shortage of Instant Pot recipes. In fact, you’ll find entire blogs, Facebook groups, and cookbooks dedicated to it. I can cook. But I’m also a recipe follower (sometimes I get creative and combine recipes) so searching for a recipe beforehand doesn’t bother me at all. And no, your Instant Pot is not going to explode. This is not your grandmother’s pressure cooker. This is a high-tech machine with buttons labeled beans, soup, or rice. However, get yourself a good pair of silicone oven mitts if releasing the steam manually. Sure, there are parents out there who plan their menus for the week. Others stack their freezers with healthy meals ready to go. And, then, there are people like me, who wonder at 4:30 what I can scrounge together to feed my family. The Instant Pot transforms moms like us into Uber Moms. Note: I am an Amazon Affiliate. If you click through one of my links, I receive a small fee to support my ever growing coffee habit. If you’re not ready to jump right into pressure cooking, let’s take some baby steps. Why not try out the slow cooker option? Yes, your Instant Pot is also a slow cooker, eliminating the need for two appliances. For the most part, I’ve taken my favorite slow cooker recipes and converted them into Instant Pot-friendly ones. This means that your favorite 6 to 8-hour crockpot recipe will cook in under an hour. You can stop reading here. Just kidding. Go on . 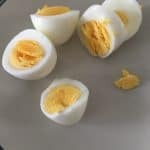 . .
My daughter wants hard boiled eggs basically every day. So, I take shortcuts and buy the prepackaged cooked eggs. Cooking eggs in the Instant Pot is seriously the easiest thing you can do. Add some water to the bottom of the pot, put your eggs on the included trivet (or this egg rack) and set the timer for 5 to 6 minutes. Run them under cold water and peel. The eggshell pretty much falls off the egg. 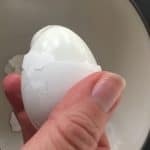 You will never make eggs on the stove again. You can also poach your eggs. I use these silicone cups. Before buying the Instant Pot, I had never made rice anywhere other than the stove (or prepackaged in the microwave). I don’t make rice enough to justify getting another appliance, nor do I have room to store one. But the Instant Pot has a built-in rice cooker. The rice comes out fluffy and doesn’t stick to the bottom of the pot. Plus, I just throw the Instant Pot stainless steel bowl directly into the dishwasher for an easy clean-up. This is my favorite rice recipe. I make it on taco night and every Cinco De Mayo. I make this vegetarian split pea soup about twice a month. We mainly eat vegetarian meals in my house so I skip the ham and add mushrooms instead which adds a bit of a smoky flavor. So good! Last Superbowl Sunday, I made chili in under 30 minutes. Let that sink in. I made it with turkey but you can also omit the meat to make it vegetarian. I’ve also made vegetable stews, including a delicious Thai Green Curry. Did you know you can also saute your vegetables and sear meat in the Instant Pot? Then add the rest of the ingredients. One pot means less mess. Whenever I make chicken tacos for my guests in my crockpot, someone requests the recipe. I laugh and tell them: you empty a jar of salsa, maybe add some spices, and let it cook all day. Once it’s done, shred the chicken with a fork. But the Instant Pot can make the easiest of recipes ridiculously simple. Now, I toss some frozen chicken breasts into the Instant Pot (because who plans ahead?) and the same chicken taco recipe can be achieved in approximately 30 minutes. 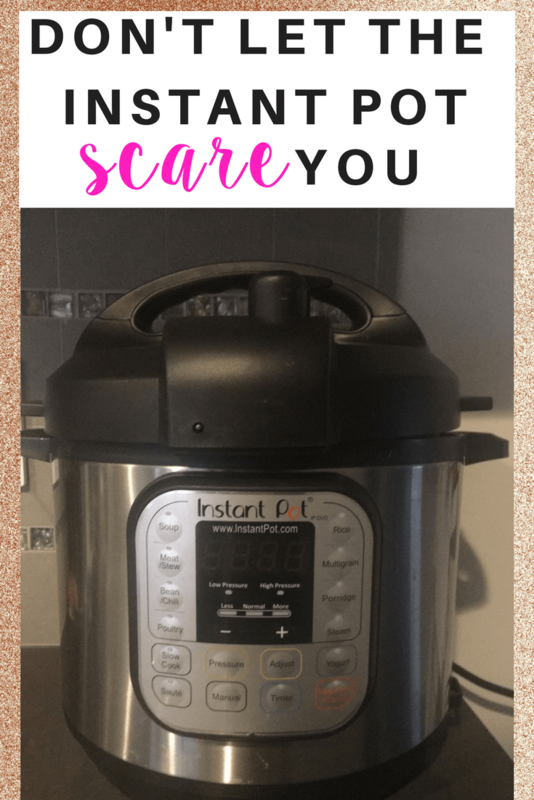 My husband got on a health kick last year and the Instant Pot helped him keep to it. Every night, he would steam a ton of veggies in the Instant Pot. He actually prefers his veggies mushy. I don’t and you’ll have to be careful because they do cook quickly. If you want perfectly steamed vegetables, one minute of steam is more than adequate. As with any Instant Pot recipe, you’ll have to add in some extra cooking time as you need to wait for the unit to get enough pressure, cook, and then release the steam. So, in total, steaming vegetables will take you closer to ten to fifteen minutes. People swear by the yogurt-making feature. It’s on my to-do list. My daughter loves applesauce. The recipes look so easy. I really have no excuse not to try them in the Instant Pot. While I haven’t tried overnight or steel cut oats, I have cooked my regular Quick Oats in the Instant Pot. It came out thicker and creamer, although in the interest of saving time, I’d rather microwave it with almond milk. Follow me on social media. Like I did with Amazon Prime Day, I post the best deals on my Facebook and Twitter accounts. Now, leading up to Black Friday and Cyber Monday, expect more of the same from me. Or just treat yourself. You won’t regret it. 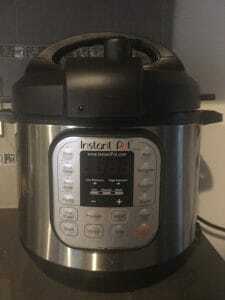 While there are other brands of pressure cookers out there, this is the one I recommend. I originally purchased another brand at Bed, Bath and Beyond (because this model was out of stock on Amazon) and it lasted only a couple of months. For smaller households or if you want to utilize less counter space, Instant Pot recently introduced their smaller 3-quart model. I’m building up my Instant Pot Pinterest board with my favorite recipes. Be sure to follow me on Pinterest. What are your favorite Instant Pot recipes? I’d love to add yours to my list. Just eating my instant pot poached eggs at the moment! Well I have cooked twice in the pot. So far I am deffinatelly NOT impressed. Icooked 12 hard boiled eggs. I actually think it was no different than in a pan…Martha Syewarts rcipe. Identical time, identical result. Easy peal either way. made Hot sausage in sauce, with onions and green peppers. < this was well cooked and watery no water added. I will continue trying. Hope there are more positive experiences ahead. Definitely play around with it more. The most time-saving (and delicious) food that I ever made was barbacoa. I’ll put it on my Pinterest Instant Pot page if it’s not there already. That would have taken all day to cook in the oven. In the Instant Pot, I was able to make it in under an hour. I was hosting a dinner party and cooked the barbacoa, then the rice, and a soup in the Instant Pot, all in the time that a chicken was cooking in my crockpot. Yes! I love the IP too and it makes life as a mom so much easier for last minute meals. I encourage my clients to invest in it too. It’s definitely great for a healthy lifestyle. Just checked out your site. Would love to pick your brain one day re: macros. Thanks I’m going to pin that one. And try it! I am NOT a cook, but you might have just convinced me that I can be one with an Instant Pot! Quick and easy is definitely the way I do things. Super Bowl Sunday Chili was the game changer for me.